“Always avoid the 12 P’s: Piss poor practice promotes piss poor performance, and piss poor performance promotes pain.” Essentially: Be prepared. This is the advice of internship expert Torsheika Maddox, research and program associate at the Division of Diversity, Equity and Educational Achievement at the University of Wisconsin-Madison. But there is more that goes into bossing your interview than just being prepared. In order to do your best, you need to be knowledgeable about the company you’re interviewing with. Do more than reading their website’s home page. The best way to learn about a company is to talk to people who already work there. “They can sometimes give you information that that sets you a part from other candidates,” said Maddox. You should also bring one of those dorky padfolios to jot down any names or questions and to hold three extra resumes and a working pen, just in case. Forgetting to bring a working pen to a job interview shows that you are not prepared and can lead to some pretty awkward interactions. “Wear an outfit you’re going to be comfortable in,” said DeVon Wilson, assistant dean and Director of the UW-Madison Center for Academic Excellence. Though you may want to go shopping for a new outfit to look your best, never wear something for the first time to your interview. You never know how the item will fit during the day or what activities you’ll have to engage in. If you’re uncomfortable in any way, it will show in your body language. 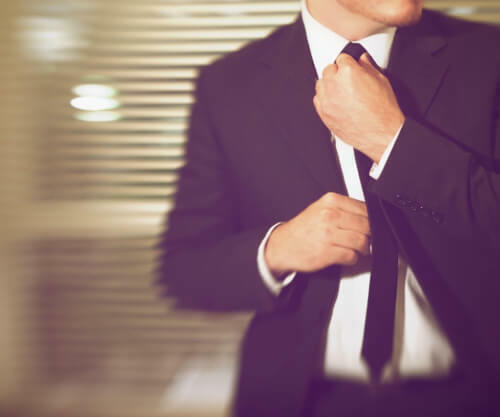 Also, for different professions, standard interview wear can vary, so be sure to know the culture of the company. In short, don’t show up to Goldman Sachs dressed like you really want a job at Pizza Hut. “A good interview doesn’t start with an introductory handshake. It starts the moment you walk into the building. Everyone you meet could possibly be interviewing you,” Wilson said. You never know who influences the interviewers. Be professional and cordial to everyone, including those you meet on the phone. Although you may be nervous, making eye contact is essential to showing that you’re listening. Diana Renderos, lead intern at the Division of Diversity Equity and Educational Achievement said, “The people the hiring panel really connects with are those who make eye contact with every single person in the room.” Look at those who asked you a question when answering; eye contact will seem more natural in this case, but whatever you do, don’t stare! If an interviewer asks you why you want to work there, the middle of the interview is not the time to figure out your answer. “You should always come to an interview knowing why you want to work at the company and knowing how that specific position fits into your future plan,” said Maddox. Also be prepared to answer classic Q’s about describing yourself, your leadership skills and your greatest accomplishment. Speaking of expected questions—oh, the dreaded “What is your greatest weakness?” that always has us thinking, “If I told you the truth, you wouldn’t hire me.” While difficult to navigate, it is even worse when you appear to be frazzled by a question you should expect. According to Wilson, “There is nothing wrong with talking about how you’ve fallen short in the past, but it is essential to talk about how you’ve learned from it.” Talk about a time you realized you could do something more efficiently and made some changes, not when you showed up for work hung over. Personal growth stories are usually what they’re looking for. It is customary feel the need to regurgitate everything you know about a company during your interview, however, keep in mind that the purpose of an interview is to make personal connections and ensure the company is a good fit for you. “Always remember that you are interviewing them as much as they are interviewing you,” says Wilson. Finally, you should always bring four to six well-thought-out questions to encourage a dialogue and show that you are genuinely interested in the position. 8. Think On Your Feet! You never know what will be thrown at you, so always try to remain cool, calm and collected. UW-Madison Law School student Jessica Behling recalls interviewing with someone who made her write her answers down instead of speaking to her. “He just sat there and watched me while I wrote and on top of that, he started telling me how to rearrange my resume.” Yikes, awkward! Never forget to send a quick thank you one to three days after the interview (and at every stage of the interview process). While email is the most common method of reaching out, sending a nice card adds a unique touch. If you haven’t heard back in a week or two checking in is a good way to keep your name in their heads. But don’t reach out more than once. “Anything more that can frankly be annoying,” said Maddox. Never hearing back from a promising company can be really frustrating. “Not getting an opportunity isn’t necessarily about what you didn’t do,” said Wilson. There are a ton of factors that go into the recruitment process. A company may choose to hire internally, or you just may not be a good fit for the position, but that doesn’t mean that your strengths can’t be used somewhere else. In this case, still reach out. Thank the company representatives and encourage them to keep you in mind for any other positions that are open. Maya is a senior at the University of Wisconsin-Madison majoring in Communication Arts and African-American Studies. She’s obsessed with all things Vogue and is unhealthily attached to her home, New York City.